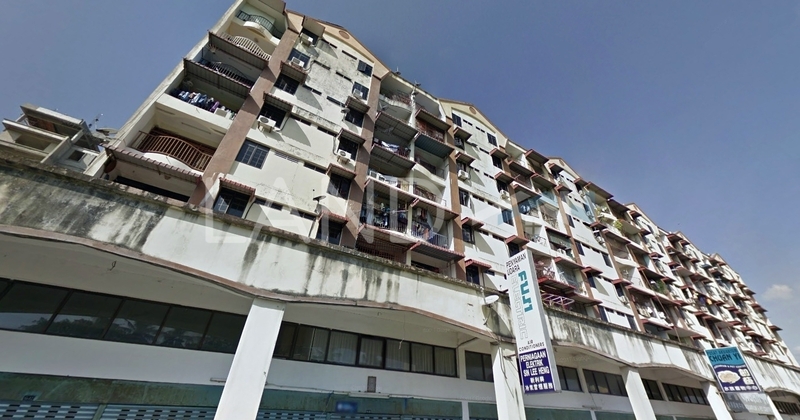 Pangsapuri Mesra Jaya (also known as Mesra Jaya Apartment) is a leasehold low-cost flat located in Bagan Lalang, Butterworth.The built-up available at this project is 880 sf to 1,941 sf for flats. It was developed by Kerjaya Prospek Group. Kerjaya Prospek Group is a mid-scale property development group, and it has developed about 9 property projects in Malaysia. Other similar projects by the same developer are 288 Residensi, Kaleidoscope, Residency V, Residensi 222, Straits Residences, The Shore, Viridian and Vista Residences. The current market prices for Pangsapuri Mesra Jaya are from RM190,000 to RM520,000 (about RM260 psf) for flats; while the monthly rentals are from RM900 to RM1,000 (about RM0.53 psf) for flats. The highest median price psf ever recorded was RM260 psf in Q3 2017 (Flat); while the lowest one was RM180 psf in Q2 2015 (Flat). The most popular layout and size combination at Pangsapuri Mesra Jaya for flats is 4-bedroom / 1,686 sf with a median price of RM260 psf. For price wise, the most expensive one is 4-bedroom / 1,941 sf with a median price of RM270 psf; while the cheapest one is 3-bedroom / 880 sf with a median price of RM220 psf.